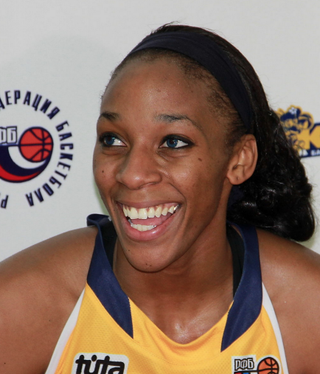 WNBA star Glory Johnson revealed on Instagram that she gave birth to twin girls Oct. 12. The babies are premature but healthy. Johnson described how grateful and elated she is that they're here. "Babies Ava Simone & Solei Diem arrived on Monday! Born a little earlier than expected […] I have no worries because these babies are fighters just like I am! We all know God makes no mistakes and by his Grace, everything will work out for the greater good. We will continue to trust God as they are in his hands. Continue to keep us lifted because there is so much power in prayer!!!" the Tulsa Shock forward wrote. When Johnson revealed that she was pregnant in June, she said it wasn't a surprise for her because she and her then-wife, WNBA star Brittney Griner, planned for the pregnancy with an in vitro fertilization cycle, Us Weekly magazine reports. Johnson and Griner were married in May. Griner filed for an annulment just 28 days later—one day after Johnson announced her pregnancy. Johnson said she was blindsided by the annulment filing, and Griner said she felt pressured into marrying Johnson.